Theresa’s interest in mental health began when a close family member was diagnosed with Bipolar Disorder. The diagnosis and subsequent treatment process sparked an interest that grew throughout her career and has guided her with a very personal perspective on mental health in the Bay Area. Early on Theresa had the opportunity to work with patients diagnosed with HIV/AIDS. After twelve years of advocacy and management, Theresa wanted to become a stronger supporter for individuals who required assistance navigating the system and to help each of her clients obtain better medical and financial benefits. With this goal, Theresa then began working towards becoming a licensed clinical social worker. Prior to licensure, Theresa worked as a case manager and crisis intervention specialist for over seven years for the County of Monterey. This experience helped focus Theresa’s interests on severely mentally ill clients. Through personal experience, Theresa’s interests have also expanded to include people diagnosed with pervasive learning disorders including ASD with focus on Asperger’s and dual diagnosis. Theresa has always been a strong advocate for individuals who have lost their voice. She has a tremendous amount of respect for those diagnosed with severe mental illness and the struggles this entails. Theresa recognizes the need for higher quality care for these individuals so she continues to obtain training to help serve this often times marginalized population. Theresa is in private practice full time. Theresa is married and currently resides in Salinas with her husband. She has two adult sons, an adorable dog, and two cats (who tolerate her presence in their home). Mental Health Commissioner for the County of Monterey Mental Health Commission for district 1. Theresa’s past experience includes crisis intervention, assessment, case management, and counseling for clients with severe mental illness for the County of Monterey. She has also advocated on behalf of AIDS patients through SCAAP in Santa Cruz and Kaiser Permanente in San Jose. She holds a Bachelors of Psychology from UC Santa Cruz and Masters in Social Work from San Jose State University. 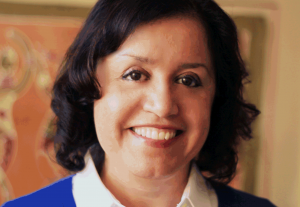 Theresa Barreras is a dynamic and engaged therapist. She understands the power of the lower negative thought wave mind as well as the power of the higher positive thought wave mind. She also knows we are not these two minds, but the awareness of them. And that's why she gets results.